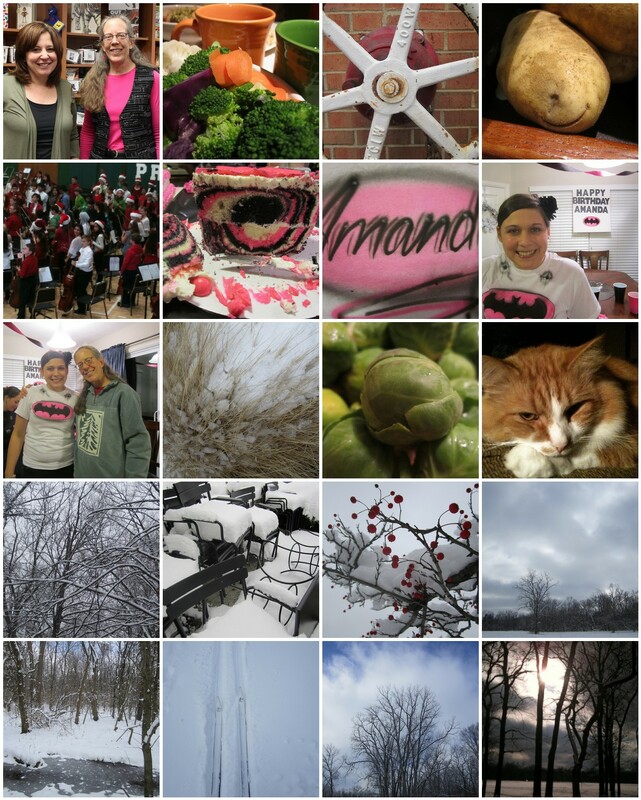 Flickr photoset is here if you'd like to see the photos full-sized. At the beginning of the month, our temperatures were still in the 50s. Almost like the flipping of a switch on Winter Solstice, the temperatures dropped and the snow came. Fun vegetable shots this month -- "Bright Veggies" in my Buddha Bowl at Northstar, a grinning spud spotted at Kroger, and fresh Brussel Sprouts from the Winter Worthington Farmers Market before they were roasted for Christmas dinner. I'm going to collect photos of numbers and letters (actual and representations). By the end of the year, I'll be able to make my own Alpha-Numeric picture book through the iPhoto store! I collected about half of the alphabet and all of the numbers 1-13 except 9 and 10. I also discovered that our local Cord Camera is the way to go for all kinds of photography projects: support a local business and don't pay exorbitant shipping fees! A few years ago, I started a strand on my calendar to alert me to upcoming books. So, I technically have a book release calendar. I hate when I hear about a book weeks or months in advance and then forget about it. So, this calendar reminds me of those books I am looking forward to. I add books as I see them and I check the calendar every few weeks looking ahead to what is coming up. Mr. Schu is far more efficient and organized than I am and I check his public Book Release Calendar often. Some of my students have also gotten into the habit of checking Mr. Schu's calendar for upcoming titles. This year, I thought that every month, I'd share the titles I am most looking forward to in the coming month. So, today, I thought I'd share the books I am excited about that are being released in January. Here they are! 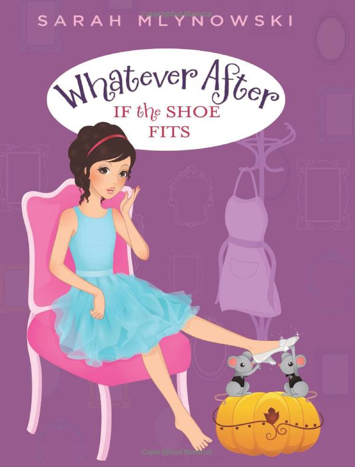 Whatever After #2: If the Shoe Fits by Sarah Miynowski is the second in this Whatever After series. I love all things fairy tales-especially middle grade and YA versions of classic tales. 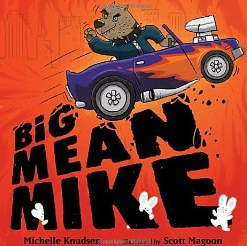 The first book in this series was popular with my 4th graders and I am excited that there is another coming out. This is a present day story in which two kids somehow get transported to a story and have to solve a problem. This new one is centered around the Cinderella story. 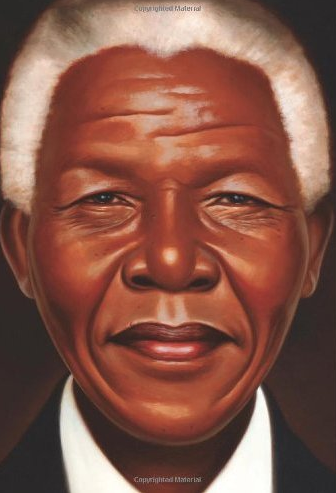 Nelson Mandela by Kadir Nelson--I love anything by Kadir Nelson and am excited about this new picture book biography about Nelson Mandela. I love adding picture book biographies to my collection and I love that Kadir Nelson has done this one! Can't wait to see it! 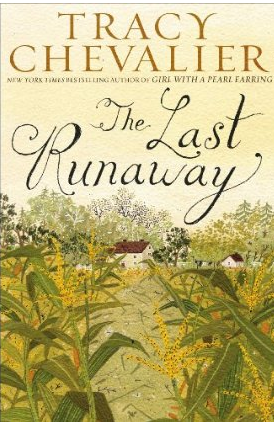 I am really excited about The Last Runaway by Tracy Chevalier. I don't allow myself much time to read adult books as I spend so much time reading children's and YA books but I will definitely make time for this book. Tracy Chevalier is one of my very favorite adult authors and this book looks to be another good one. I love that it is set in Ohio too-an added bonus! 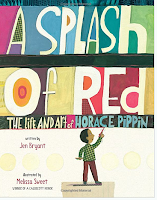 A Splash of Red: The Life and Art of Horace Pippin is one I am interested in because I love this author and this illustrator. 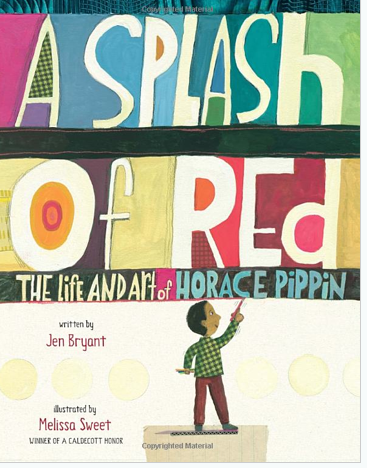 Jen Bryant and Mellissa Sweet are two of my favorites so I can't wait to see them team up on this picture book biography. There is one professional book I am looking forward to in January. 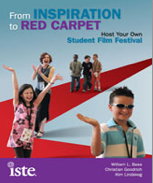 Bill Bass and his colleagues have written a book with ISTE called FROM INSPIRATION TO RED CARPET. The book shares the story of a district who hosts a film festival for students. I am excited to read about the power of video production, the projects that are possible, and more. 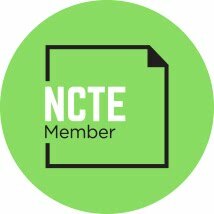 Definitely one I have been looking forward to that I think will impact my classroom! January looks to be a great month for books!! Head on over to the Nerdy Book Club blog for the details! 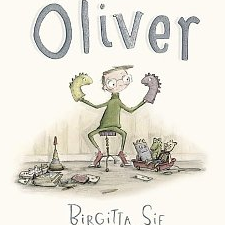 I am always looking for great picture book biographies. I especially like the ones about people who are not famous. So I was thrilled to find Bill the Boy Wonder: The Secret Co-Creator of Batman by Marc Tyler Nobleman. I recognized the author from another great picture book biography, BOYS OF STEEL which was quite popular in the library last year. I am not a huge Batman reader but I do love popular culture and stories of creativity. I loved this new picture book for so many of reasons and I can't wait to share it with kids. The book is a good length-not too short and not too long. 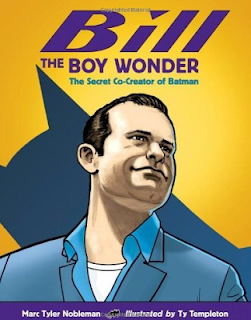 It is filled with the story of Bill Finger who co-created Batman as an anonymous writer. It is a fascinating story of a man who loved to create. Even more fascinating is the Author's Note in the back that gives even more information about Bill Finger and the research involved in publishing this book--the only book EVER that focuses on him. I am excited to share this book with kids for lots of reasons. First of all, it is a great story and with so many comics/graphic novels fans, I am sure I will have kids who will be instantly interested in the topic. But it is also the story of writing and creating--how and where ideas come from and how storytelling is often collaborative. The story is also a great example of someone who made a big difference in the world even though he was not famous. I worry about fame and our typical use of biographies. 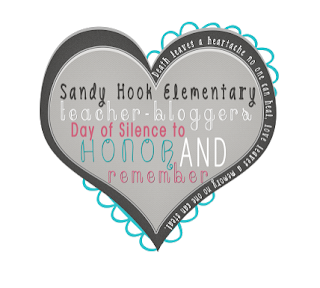 I want my students to know that there are many ways that people make the world a better place and you don't have to be famous to make a difference. And finally, the research involved in finding the story of Bill Finger life and the outcome of the research is worth sharing with students. Research isn't so easy and it certainly is not the book research that kids often think of when we say the word research. Nobleman makes much of his research process public and that will be great for kids. I totally enjoyed this book for lots of reasons. One of my favorite nonfiction books of the year for sure! We play against it, set records based on it, get hit in the head with it, try to stop it or run it out, watch it...and its hands just keep moving. a mechanical or electrical device for measuring time, indicating hours, minutes, and sometimes seconds, typically by hands on a round dial or by displayed figures. 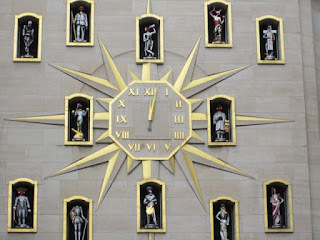 • (the clock) time taken as a factor in an activity, esp. in competitive sports: they play against the clock | her life is ruled by the clock. • informal a measuring device resembling a clock for recording things other than time, such as a speedometer, taximeter, or odometer. 1 attain or register (a specified time, distance, or speed): Thomas has clocked up forty years service | [ no obj. ] : the book clocks in at 989 pages. • achieve (a victory): he clocked up his first win of the year. • record as attaining a specified time or rate: the tower operators clocked a gust of 185 mph. 2 informal hit (someone), esp. on the head: someone clocked him for no good reason. around (or round ) the clock all day and all night: working around the clock. run out the clock Sports deliberately use as much time as possible in order to preserve one's own team's advantage: facing a tie, he decided to run out the clock in the final moments. stop the clock allow extra time by temporarily ceasing to count the time left before a deadline arrives: he agreed to stop the clock as negotiations continued. turn (or put ) back the clock return to the past or to a previous way of doing things. watch the clock (of an employee) be overly strict or zealous about not working more than one's required hours. clock in (or out )(of an employee) punch in (or out). 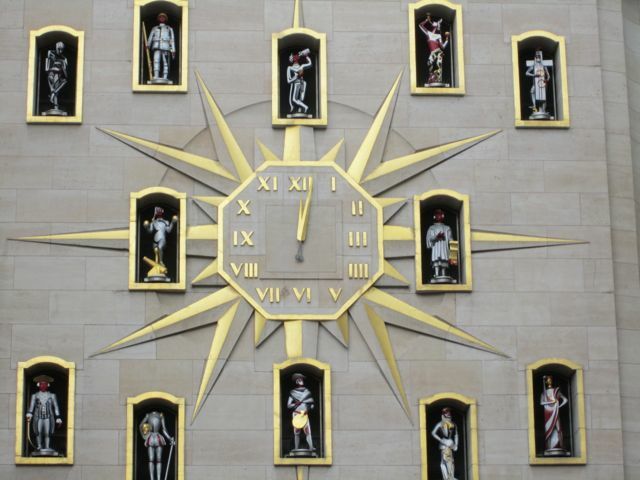 When the clock chimes 12:00 AM on January 1, 2013, I'll shout out a HAPPY NEW YEAR to you and the world. 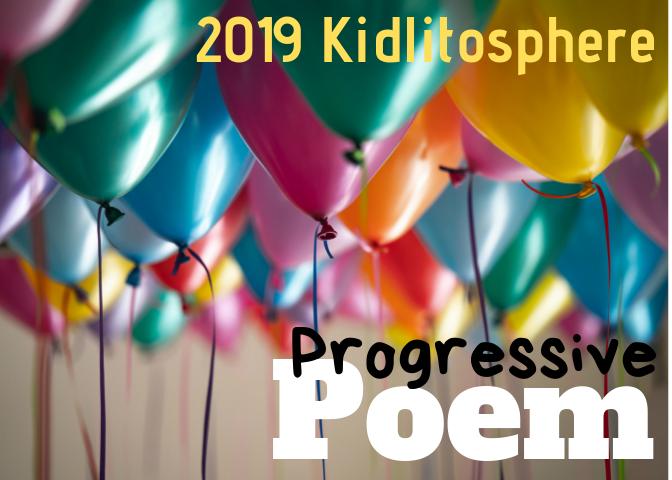 In the meantime, sign up for a Jan-June Poetry Friday roundup slot here. Carol has today's round up at Carol's Corner. Will Sparrow’s Road takes place in England in 1599, during the reign of Elizabeth I. There were very few if any Muslims in England at that time. Shakespeare was familiar enough with Muslims to include such characters in The Merchant of Venice, Titus Andronicus, and Othello, which featured a Moorish Othello as its title character. It is said these plays were inspired by several Moorish delegations from Morocco to England about 1600. 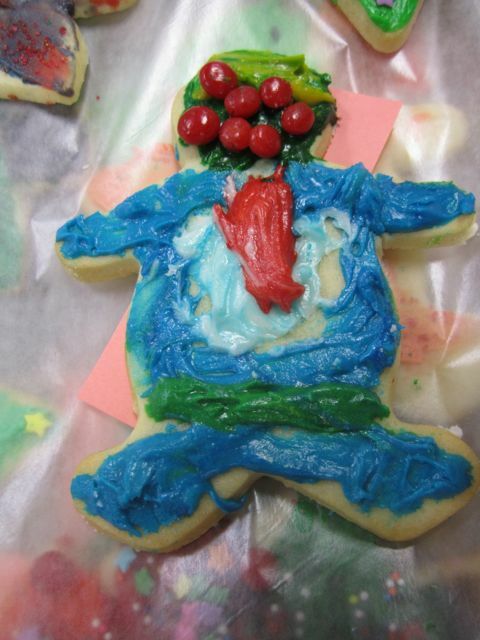 Imagine a Christmas without a tree, colored lights, Santa Claus, presents, or Rudolph the red-nosed reindeer. Even without these joys, the Elizabethan Christmas revels were the highpoint of the year. After the sad, solemn, sometimes violent reign of Mary Tudor, Englishmen were ready for gaiety. And Elizabeth, relieved to find herself queen and not martyr, marked her reign with joy, luxury, and extravagance. Her people, starting on Christmas Eve and culminating twelve days later on Twelfth Night, celebrated Christmas with gusto. Villagers and nobles alike decorated their homes with holly, ivy, yew, bay, laurel--in fact, anything still green. A large log, the Yule log, was brought in and kept burning in the hearth throughout the twelve days of the holiday. Someone would be chosen as “The Lord of Misrule” and would be in charge of organizing the entertainment and revelry for the Twelve Days of Christmas. There would be dancing and play-acting and the singing of carols. Groups of girls and boys would go round their village or neighborhood with an empty drinking cup, begging for each house to fill it with spiced ale or cakes or a silver penny. It was bad luck to refuse. Food was the highlight of the celebration. Turkey had only been introduced into England from the Americas during the reign of Henry VIII and was relatively uncommon. Goose was more traditional. It is said that in 1588 Elizabeth I ordered the entire country to serve goose at their Christmas feast, since it was the first meal she had eaten following England's victory over the Spanish. The very rich might serve peacock—skinned, cooked, and put back into its skin and feathers. The poor, of course, ate whatever they could. Other goodies included wild boar, minced meat pies, plum porridge, and a Christmas pie of birds' tongues, eggs, sugar, lemon and orange peel, accompanied by a beer brewed especially for the occasion. During the Elizabethan age water was not considered fit to drink. Instead, beer was the staple drink for the majority of people, and it was common for country homes to house their own brewery. Mulled wine might also be served as well as syllabub (spiced milk with rum or wine) and lambswool, made by heating cider, sherry or ale, spices, and apples until the apples exploded into a foamy, white head. The last night of the Christmas celebrations was January 6, the Feast of the Epiphany, which commemorated the coming of the Three Kings. Twelfth Night festivities were often the grandest of the year, filled with balls and parties. A special cake would be baked and given out to members of the family and household. This cake would contain a bean and whoever found it would be pronounced King of the Bean. Whether or however you celebrate Christmas, I wish you great joy of the season and a splendid new year. Write a twelve-line poem in which the first word of each line starts with the same letter (e.g. all of your lines start with "A") and the last word of each line starts with the same letter (e.g. all lines end with words that begin with "B"). As you can see, I didn't manage to hit the prompt right on the nose! Tonight I will celebrate the Solstice with close friends. We will eat Navajo stew and sage bread, and the Kachinas, who left at the Summer Solstice and took light and life with them, will come back bearing gifts and the promise of spring. Our Solstice Poetry Friday Roundup Hostess is Heidi, at My Juicy Little Universe. 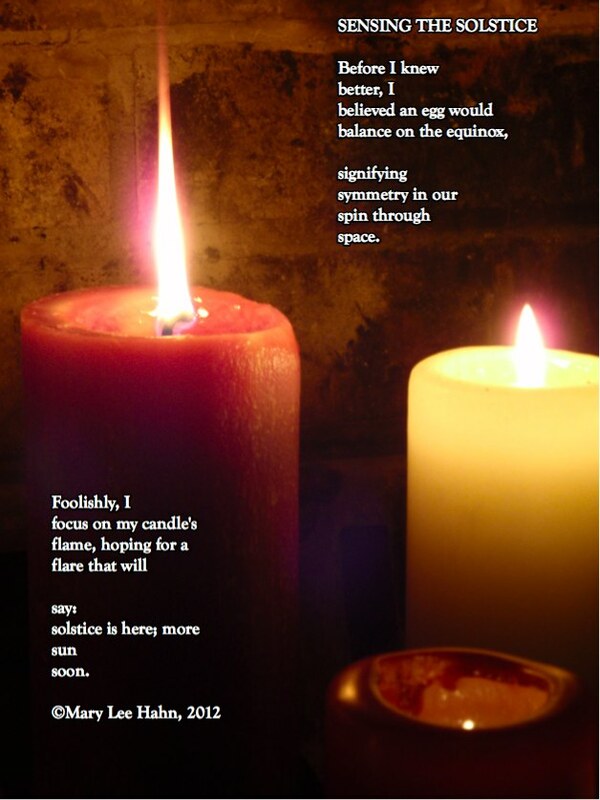 Speaking of Summer Solstice, we need to line up Poetry Friday roundup hosts for the first half of 2013! Leave your choice of Fridays in the comments -- I'll update the calendar on Saturday. 17 Ed at Think Kid, Think! So, in a conversation on Twitter the other day (started by the Nerdy Book Club post that Katherine Sokolowski and I wrote to help Colby find great YA books-EVEN if there is some kissing...), we all started to share our "book gaps" -those books we kind of avoid reading. Donalyn Miller challenges us all to think about our book gaps and to make a goal to read more of those. She gave a hashtag to the idea--#bookgapchallenge. I tend to avoid lots of historical fiction. I am not a fan of the lives of women before recent times--not only because their rights were limited, but because they seem to wear pretty uncomfortable clothes. Oh, I love fairy tales and Philippa Gregory's historical fiction where women are wearing puffy fancy dresses, but the thought of itchy high-collared dresses makes me gag. And I don't like the cold--so those books set in "Little House on the Prairie" times are not my faves (even though I did love Laura Ingalls Wilder when I was younger.) Anyway, I tend to avoid historical fiction. BUT, I do read some historical fiction and if the characters are good, I can get past the itchy clothing and the cold weather. As our #bookgapchallenge conversation continued, I realized that I have several book gaps--not just one. Lots of conversations with Tony Keefer (who agrees with Colby about the kissing books) over the years have reminded me of this. I often go to Tony when looking for adventures and books with action. It isn't that I don't like adventure, but I tend to read books that are character-based. Plot is secondary to me. Setting means almost nothing. This need for characters I love, means I don't read many plot-based books. I tend to skip over the action-packed adventures that many of my kids have fallen in love with. H.I.V.E. arrived today. I have been thinking about this book. I have read other action/adventure books but I usually read them because I feel like I have to. I read them because I know I have kids who will like them and I don't do much beyond getting through them. But I am going to try to approach this one differently--to see if I am missing something in these books that will help me enjoy them more. I have faith in Tony's decision on book title and I am going in with an open mind. I am excited to try something new. I love this idea of the #bookgapchallenge and I plan to talk to my kids about it. I think to make it work, you need to connect with other readers. I am not the best person to choose an adventure, so I needed to find a reader friend who could recommend one for me. I want this for my kids--find some books that are different from what you usually read, stretch yourself a bit and see what happens. A great challenge for 2013, I think. What are your book gaps? Karen Cushman has a gift for bringing the past to life. In her newest book, we travel to Elizabethan England and meet Will Sparrow, self-proclaimed liar and thief, who, in the first chapter of the story, runs away from the innkeeper to whom his father sold him to pay a bartab. "...Will walked right up to them as if he belonged there. Which, he supposed, he did. Oddities, all of them -- a liar and a thief, a disagreeable little man, and a girl with the face of a cat -- belonging nowhere but with each other." One of my fifth graders (I'll call her Suzy) read Will Sparrow's Road and shared her thoughts and questions with me. The character Suzy was most taken with was Grace Wyse, the cat-faced girl. Suzy imagined her as "pretty and brave, but she didn't really trust sometimes." I had wondered as I read whether a modern young reader would be able to visualize from Cushman's descriptions of Grace, a child with the condition (Cushman explains it a bit in the author's notes) hypertrichosis. Suzy found that visualizing the story was difficult. Everything is so different -- "strange language, weird foods, and no electronics!" 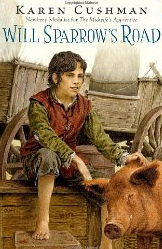 This seems to me to be the challenge of historical fiction for young readers. It's a conundrum. They don't have the background knowledge for historical periods that helps to make historical fiction come alive, and yet, historical fiction is often the best way to get a feel for a historical period that helps it to come alive! When my two language arts classes totalled up the number of books they'd read in the first trimester, the genre of historical fiction was a weakness in both classes. 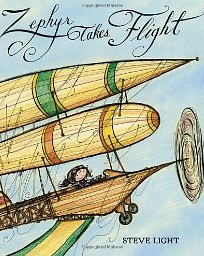 We'll be launching a fiction unit after break -- the perfect opportunity to dig into historical fiction! How do you make another time period come to life for a reader? What kinds of specific details do you look for in your research? I like to metaphorically look around a place and see the things my character would notice: clothing, music, houses, food, herbs and trees and birds. I deliberately try to include all five senses—not just what a setting looks like. How does it smell? What sounds might one hear? And how does the character know? Where does he feel it in his body? What does that sound do to his ears? His heart? Does it remind him of something? Somebody? How does that make him feel? Equally important are attitudes, beliefs, and assumptions of the past. These are harder to identify but critical. People of the past are not just us in different clothing. There are very real differences in what we believe, value, and think true. Was there a journey story that inspired you as a young reader? No, not as a young reader but as a 22-year old, in a children’s literature class, I discovered Dawn Wind by the British historical novelist Rosemary Sutcliff. This journey story is set from the last stand of the Romans in Britain through invasion and settlement of the Saxons. It was a very different time and place from my own but drew me in with its gorgeous prose and characters I could relate to. I saw how good historical fiction transcends the difficulties of language, place, and time. What messages or learnings do you hope a modern child takes away from Will Sparrow's Road? I would like modern children to see the importance of looking beyond appearance and to try to treat everyone as we would like to be treated. I’d also hope they draw encouragement from seeing a boy overcome his bad beginning with pluck and determination. If Will Sparrow can succeed with all his problems, I think we all can. See our Christmas Eve post for information Karen Cushman sent about Christmas in Elizabethan England. The publisher was kind enough to provide a copy of Will Sparrow's Road for us to give away. Leave a comment that includes one (or more!) of your favorite books of historical fiction (picture book, chapter book, graphic novel, poetry...you name it) and I will put your name in a hat for a drawing. DEADLINE: Midnight, December 31. Be sure that your comment includes a way for me to find you, in the event that you win! 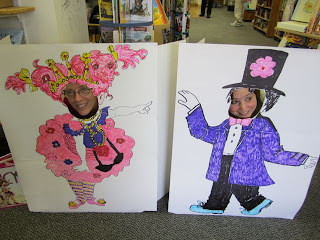 And thanks, in advance, for helping me to plan a fabulous historical fiction unit! Tomorrow, check out Random Musings of a Bibliophile for Karen Cushman's next stop. 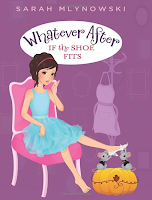 If you are interested in why Karen Cushman chose a boy main character for the first time, she has a guest post at GreenBean TeenQueen. For a fabulously complete author-to-author interview, check out Kirby Larson's Kirby's Lane. So, it is time for the annual holiday #bookaday. I am always so excited because early in December I believe that I can get rid of my TBR stack. Then I begin my pile and I realize I'd need to do #bookanhour if I really wanted to make a dent. And I start to feel overwhelmed about all of the books I will miss. No question I won't get finished with the books on my stack before some great 2013 books start coming out. I asked on Twitter to send me titles of great books form the year. I got tons of great titles. I had to cut lots of great ones from my list if I am serious about TRYING to get to the books on my list. These are the books that sound like fabulous, not to miss book. I guess I know deep down that I won't get to the whole list, but this is my starting point for my next several weeks of reading. I narrowed it down to 20 books from 2012 I just don't want to miss. Jama has the roundup today at Jama's Alphabet Soup. And---which is more---child, you'll be a great Human! If you are looking for some great YA books to read over the holidays, Katherine Sokolowski and I have a list up at Nerdy Book Club today called Top Ten YA Books That Are Worth Reading EVEN If You Are Uncomfortable with Kissing in Books. Enjoy! 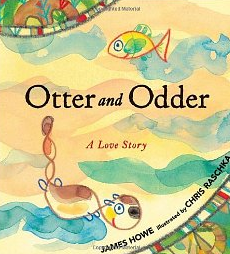 What happens when you fall in love with someone you're not supposed to fall in love with...say, your food source, for instance, if you're an otter and you fall in love with a fish? All the rest of the pond-dwellers will gossip about you, and your families will pressure you to make a more natural choice. But hopefully, there will be a wise beaver in your life, who suggests you try eating apples and bark, instead of fish. And suddenly, with that one shift in perspective, your true love is no longer your food source, and you can live happily ever after, and 100% true to yourself. What happens if you're the biggest, meanest dog on the block, and these cute fluffy bunnies start showing up, no matter what you do to discourage them? At some point, you need to admit to yourself that you love your fluffy bunnies and you need to stand up to any of the other dogs on the street who want to make fun of you because of your friends. Being true to yourself also means being true to your friends. What if your passion gets you in trouble when you fly it into the china cabinet, and you're sent to your room? Don't stop dreaming there, because your story might turn out to be a bit like Max's and you can go to place where pigs DO fly, and YOU fly, and your passion comes to life, and when you get back home, your dad is calling you to come eat your pancakes. Be true to your dreams for as long as it takes to make them come true. What if you feel a bit different from everyone else? What if you like to play alone, and create new worlds for you and your toy friends? If you are happy alone, be happy alone. But if, when you're playing tennis alone and your ball bounces to another person who is playing tennis alone, be open to a new beginning and a new friend. Be who you must be, but don't be afraid to change.